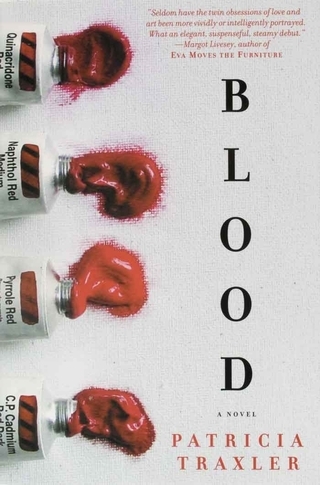 EB - You published poetry first, and then more recently published Blood, a novel which received a lot of critical attention. What led you to begin writing and publishing fiction? What is the difference in the approach you take toward writing these two genres? PT - Well, actually, I’ve always written both poetry and fiction, but many people didn’t realize that, because until Blood, all my published books were poetry collections. When the novel came out, people seemed to think I’d “switched,” but the truth is I was just always more comfortable sending out my poems for publication than my stories. My relative comfort with the idea of publishing poetry was probably due to the fact that my Irish grandmother, who lived with our family during my childhood, was a published poet whose work appeared in both Irish and American periodicals. Around our house on a daily basis, I saw Gran working on her poems in a green clothbound ledger, and I often heard her reciting “Thanatopsis” or “To a Skylark” while she did household chores, so poetry just seemed a part of ordinary life to me. I didn’t know anyone who wrote fiction, though, and I was shy about sending out my stories. More than shy—terrified. Eventually, I found a way around that by entering fiction competitions in which the identity of the entrants was not known until after the judges had made their decision. I won some awards, and that gave me more confidence, which helped a bit. I wrote one novel before Blood—that “cutting the teeth” novel everyone seems to need to write first. Then in 1999 I wrote Blood, and things began happening with a kind of alarming speed: Blood was taken on by a terrific literary agent who quickly sold it in the US, and then a number of foreign publishers bought it (it’s currently out in the UK, and also in Swedish, German, and Spanish translations). The sale of Blood gave me my first chance to stay home and write without holding down a “day job,” and as a result, I’ve had more time to write. I’m putting together a book of short stories and working on my fourth poetry collection. I’m a writing maniac! It’s bliss. As for differences of approach between poetry and fiction writing, I think any answer to that question would have to begin with provenance, because poetry and fiction seem to spring from two very different sources within the writer--separate wells of creative thought. It makes sense, then, that the processes would be different, too. Eugenio Montale wrote that in any work of art, there must be a “dominating idea” that drives the process. Whether you’re writing poetry or fiction this is equally true, but I’ve found that my life is easier when I have a poem in the making than it is when I have a novel or short story in process. It’s all about immersion: I mean, of course you become obsessed with a poem you’re working on--you try out its phrases and images in your head as you go through your day and you can feel its cadences in your step--but when you’re writing a novel or a short story, you’ve created an alternative landscape that becomes real to you, and a sort of “total immersion mode” kicks in if the work is going well. Sometimes you even find yourself a bit punchy and disoriented when you step outside that fictive landscape to negotiate your way through the so-called “real world” after days of working on a story. I think that’s especially true with a novel’s sustained narrative. I write seven nights a week when I’m working on a novel if it’s really cooking--usually from 9 PM until 4 or 5 AM. At the tail end of the process, work sessions can go round the clock. I realize that’s nutty, stupid, foolhardy, rough on your body and brain, not to mention your relationships, but it just happens. You don’t feel the movement of time, you often forget to eat (or pee) until that physical need asserts itself in the form of real discomfort or pain! All of that--for me anyway--is why starting a novel is a lot like falling in love: When you feel yourself heading into a new novel or seduced by an idea for one, you know it’s going to take over your life for the foreseeable future, and simultaneously you want to run away and hide from it, and you want to leap “into bed” with it and let it swallow you up. It’s awful, and it’s sublime. It’s what we all dread, and what we pray for. EB - In Blood, you visit some of the themes of what leads an artist to create, and the role of distance when attempting to write about “violent” or “chaotic” themes. You write, "Anyone who believes that an artist’s best work springs directly from the belly of grief and trauma is just romanticizing the place of pain in art’s creation....I’ve come to feel that the most lasting and affecting art probably grows out of constancy and order rather than out of violent emotions, and that violence should be saved for the work itself... time must pass after passion or emotional chaos before the experience becomes truly useful to art or informative to life because only time can give experience the necessary context and meaning." This is clearly Norrie’s voice saying these things, but would you say that these are also your own conclusions concerning these themes? What led you to visit these themes in your writing? It seems that, historically, the poet and the artist have been seen, perhaps wrongly, as the kind of people who must live chaotic, unpredictable lives, then depict them for the rest of the world. What are your thoughts regarding this assumption of the poet’s/artist’s life and work? PT – I think that’s a great question. When I was younger, I guess I bought into the idea that a crazy, painful life can make for richer art—or anyway, I comforted myself with the thought that something good might come out of the chaos and struggle I seemed to be encountering in my own life and times. So many kinds of pain or chaos, observed or experienced, have made their way into my writing, as they do anyone’s--that’s what it is to be alive in the world as a writer. No one can avoid chaos, pain, or conflict, but there’s a crucial difference between using these elements to inform your writing and needing them in your life in order to be a writer! Eventually, I decided that Flaubert was probably right when he admonished writers to “Be quiet and orderly in your life so that you may be violent and original in your work.” That’s what I aim for, what I aspire to. I’m not saying I avoid passion, joy, or necessary confrontation—only that I function very consciously from a secure base, within a quiet and solitary sort of work regimen—and life—that will allow all hell to break loose on the page if I’m fortunate enough to find the inspiration for it! It’s like controlled burning, I think—those crop fires we see around Kansas in late summer. I’m well aware that my Kansas life probably seems quiet, boring, and even small to some people, but it’s what works for me. If it’s not pompous to give advice, then here’s what I’d tell any young writer today: Write regularly—find out what sort of routine and setting works best for you, and then stay with it, even when others think it’s crazy. Ignore them! Only you can live your life, and no one else can understand how it feels from the inside.